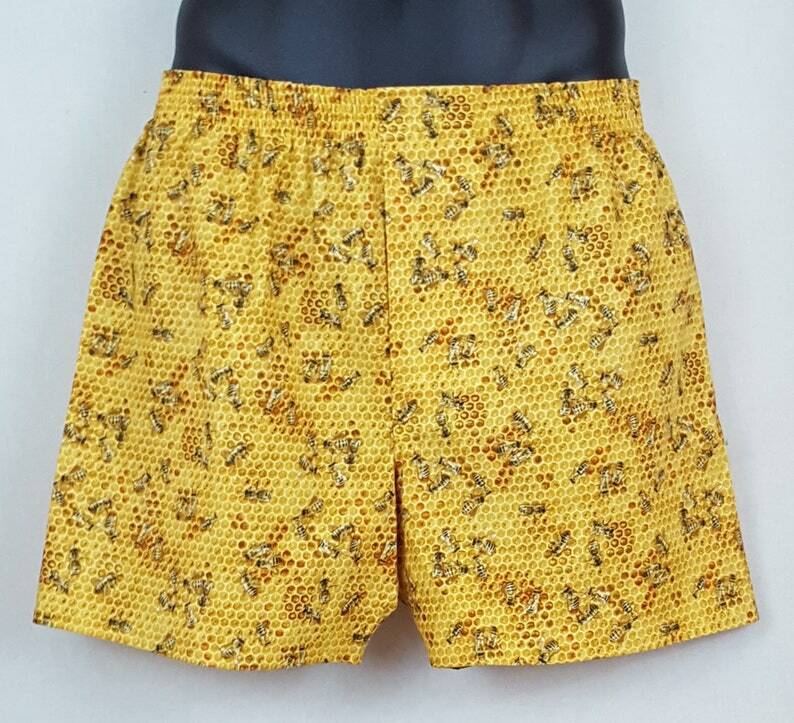 These boxers are clearly not recommended for anyone who's Epipen-level allergic to bees, but statistically speaking, they're a pretty sweet bet. All of my boxers are full-cut with a three-panel design (no center back seam) and a functional fly. I make all of my products in a smoke-free home, I only use woven 100% quilter's quality cottons, I prewash all fabrics before I cut so the finished garment stays true-to-size, and all interior seams are finished by flat-felling. These are some quality underpants... made especially for your honey.